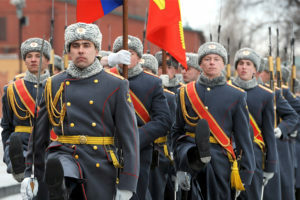 Moscow has announced its withdrawal from the Conventional Armed Forces in Europe (CFE) Treaty, as of March 11, stating that the agreement had became “pointless from political and practical points of view.” NATO Secretary General Jens Stoltenberg said that the alliance was disappointed by Russia’s decision, but Russian experts did not find the move surprising. According to Arbatov, after the deployment of an American tank unit in Latvia last week, Russia wanted to “once again remind” NATO that it is no longer bound by this agreement. In Arbatov’s opinion, the move was a provocation on the part of the U.S. “The transfer of the unit cannot be regarded as anything but a violation of at least the spirit of the agreement, if not its letter,” Arbatov said. Andrei Kortunov, head of the Russian Council on Foreign Affairs, also said that he considers Russia’s withdrawal from the treaty a signal to the West that NATO military activity on its borders is unacceptable. In Kortunov’s opinion, the fact that Russia’s withdrawal was not accompanied by specific requests for NATO is significant. “If you refuse from something, even fairly, it is necessary to propose new solutions to the problem,” said Kortunov, adding that Russia’s unilateral withdrawal will contribute to the further rise of anti-Russian sentiments and new suspicions on the part of Western countries.